This is a project that strikes very close to home as I'm often in Fairfax, on trails protected by this organization. 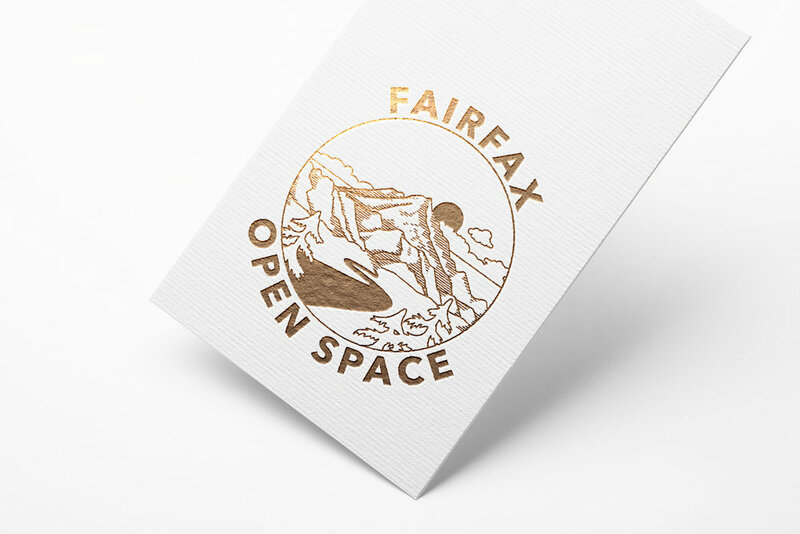 Fairfax Open Space is a committee that works to acquire and protect lands from becoming opulent housing developments, strip malls, a Panera, a go-kart track (though that would be very cool...), you get the idea. These lands are then protected as an open space for everyone to enjoy. Forever. The committee needed to freshen up their look and appeal to an every growing community. We created a mark that feels modern but that will stand the test of time. The mark also needed to work across multiple platforms, from T-shirts to social media icons.